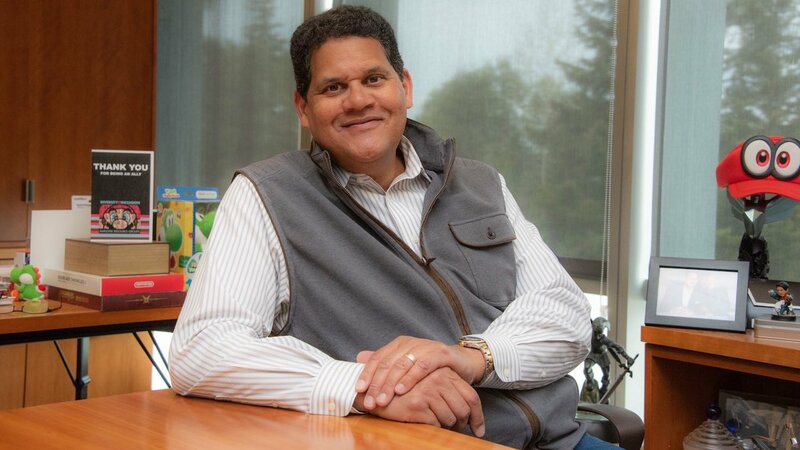 Reggie Fils-Aimé retires from Nintendo of America today, and, to mark starting a new chapter in his life, he has opened a Twitter account. In the first tweets that he has sent, Fils-Aime has shared his Robot Chicken figure, thanked everyone for the warm welcome as he packs up his office, and has shown his E3 2004 exhibitor badge. After starting at Nintendo of America in 2003 as executive vice president of sales and marketing, Fils-Aime was promoted to president and chief operating officer in May 2006. That saw his career start in the Nintendo GameCube and Game Boy Advance era, and, under his leadership, Nintendo has gone on to achieve record-breaking sales for products such as the Nintendo DS, Wii, Nintendo 3DS and Nintendo Switch. He will be succeeded in his role as Nintendo of America president by Doug Bowser, who, after working for companies such as Electronic Arts and Procter & Gamble, joined the company in May 2015.